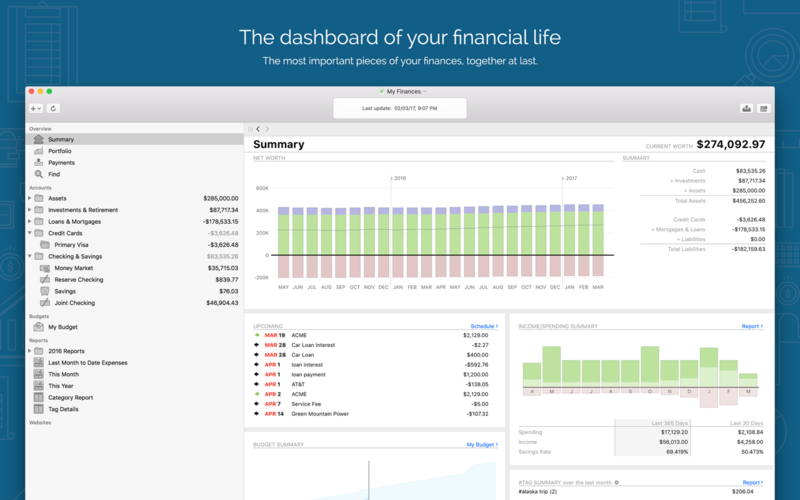 Banktivity 6.3 – Intuitive personal finance manager; widget available (was iBank). Next story Microsoft Excel 2016 16.9 – Microsoft’s spreadsheet app. Previous story JixiPix Premium Pack 1.1.6 – Bundles 18 incredible products in one powerful package. CheckBook Pro 2.5.8 – Manage personal checking accounts. Money 4.6 – Personal accounting app.